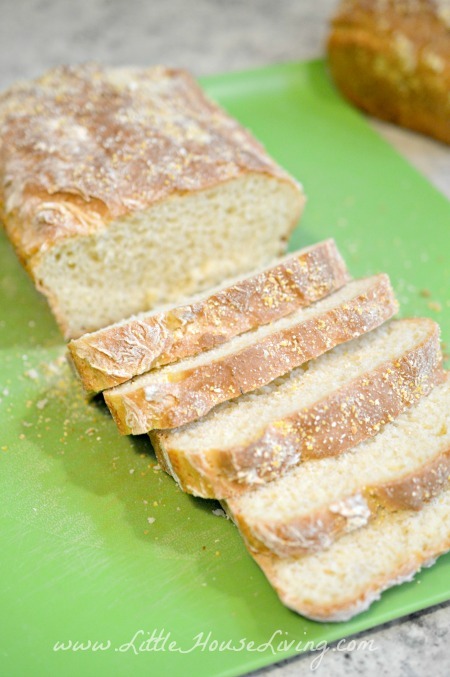 English Muffin Bread is easy to make and requires only one rise and no kneading at all! English Muffin Bread is versatile and can be used instead of sandwich bread or in place of traditional English Muffins. It’s taken a few years, but I’ve finally got my hubby into a breakfast routine. He’s never really been a breakfast person, especially when having to rush off to work so early in the morning. But it’s important to fuel up in the morning, especially when you’ve got a long, busy day ahead of you. So I wanted to find a breakfast that my husband would actually eat but that could also be made ahead of time so that it’s ready to go when he is in the morning. I finally found something that fits all of the above criteria: homemade breakfast sandwiches. You can make a breakfast sandwich the night before and store it in the fridge for the morning, or you can make a whole batch of Freezer Breakfast Sandwiches and store them in the freezer so that you’re stocked up for a whole bunch of breakfasts. I’ve found that, as far as breads go, English Muffins make the best bread for breakfast sandwiches, whether they’re frozen or freshly made. But I don’t want to have to mess around with making English Muffins from scratch every time I make a fresh batch of breakfast sandwiches. And they’re so expensive at the store! Now, I don’t mind making traditional English Muffins, but let’s face it…they are pretty time consuming and I have plenty of other things to be doing aside from sitting over a hot griddle all afternoon. 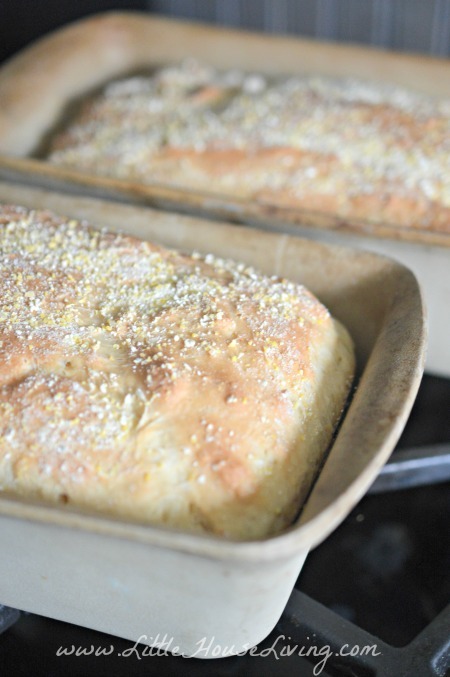 So I finally found a solution: this yummy English Muffin Bread recipe! Add in the rest of the flour and mix until just combined. I simply mixed my dough together by hand (it’s sticky!) but you can use a stand mixer with a dough hook if you have one. Make sure you don’t over mix! Grease 2 loaf pans and sprinkle the cornmeal in the bottom of each pan. Divide the batter into the pans, sprinkle more cornmeal on the top, and let it rise in a warm place until doubled in size. Bake at 375ºF for 35 to 40 minutes. We mostly use English Muffin Bread to make breakfast sandwiches, but it’s also great with just a bit of butter and jam! Hubby likes to toast his on our stove top toaster. Use it in place of regular sandwich bread in this French Toast Casserole. Use it in place of burger buns when making homemade burgers. Slice it into cubes and use it in the Old Fashioned Bread Pudding Recipe. Toast it and enjoy it with your favorite Homemade Jelly recipe. 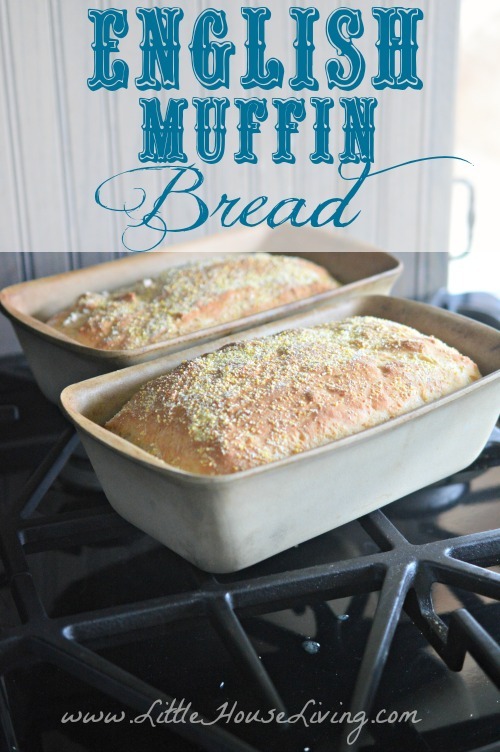 Need to print the English Muffin Bread recipe? Check out the printable recipe below! This homemade English Muffin Bread is easy to make and requires only one rise and no kneading at all! English Muffin Bread is versatile and can be used instead of sandwich bread or in place of traditional English Muffins. In a large bowl, mix half of the flour with the yeast, sugar, salt, warm milk, and warm water. Let it sit for a few minutes to give the yeast a chance to activate. Add in the rest of the flour and mix until just combined. I simply mixed my dough together by hand (it's sticky!) but you can use a stand mixer with a dough hook if you have one. Make sure you don't over mix! Grease 2 loaf pans and sprinkle cornmeal in the bottom of each pan. Divide the batter into the pans, sprinkle more cornmeal on the top, and let it rise in a warm place until doubled in size. This blog post on English Muffin Bread was originally published on Little House Living in February 2015. It has been updated as of February 2019. 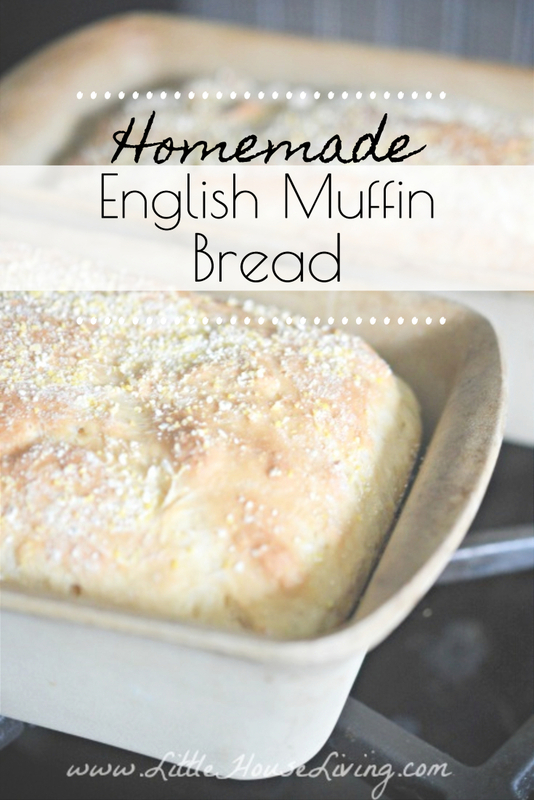 I love English Muffins–so this bread would be a perfect recipe for me! I would love to slather a piece of it toasted with jam and escape with my coffee for a bit! Has anyone tried making this w/ Gluten Free Flours and Xanthan Gum? Do you knead just a little to shape it or do you just throw in the pan? I put it in the pan and just make it to somewhat fit the pan, it’s a bit sticky to shape like you would a regular loaf of bread, but I just try and make sure the dough is fairly even in the pan. Wet your hands and there will be less sticking. Have you froze this just sliced for sandwiches, or by chance in a loaf? I know the muffins freeze well but would be bummed if I froze and it came out dry. 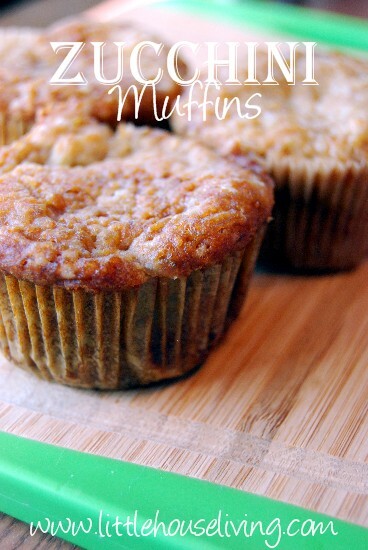 Prepping for baby in April and think this would be great for a quick breakfast for dinner! english muffin bread makes awesome grilled cheese sandwiches!!! This is the same recipe I use at my B&B and it’s awesome! Quick, easy and the bread is so good for toast. I serve it with my homemade lemon curd…always a hit with my guests. I have a B&B too. I’m in Mississippi. Where are you? absolutely wonderful! I have to make the families bread today for the week now I will be adding this in. My kids have a bit of an addiction to English muffins and I hate making them but also have purchasing them. Thank you for a fix! Would this recipe work with gluten free flour? I came here to ask the same thing. My husband hasn’t had any English Muffins since his Celiac diagnosis. This recipe could make up for that! Thanks for the reminder about the binding agent, Merissa. I am making it right now with Bob’s Red Mill 1:1 GF All Purpose Baking Flour….I will let you know! Does it still have nooks and crannies in it? It’s not the exact same texture as an English Muffin but it has the same taste and about the same density. I am excited about trying this recipe. I see you used stoneware bread pans. Did you grease the stoneware also? Thanks for all you do. Yes, I add just a bit of grease before putting the bread in the pan. Hello! We don’t usually have regular cow milk- would almond milk or buttermilk work ok? Would it work if I threw everything in my bread machine? thanks, its sounds just great. I have not yet tried this in the bread machine but I’m not sure I would as you don’t want to knead it too much. Cream of wheat works well as a substitute for the cornmeal. We only use whole wheat flour that I grind fresh every day….would this recipe work with whole wheat? We also grind our own wheat flour and our daily bread is 100% whole wheat, but for this one I do half freshly ground whole wheat and half regular white ap flour. We don’t eat this everyday, so we don’t feel guilty about it. I tried it with all whole wheat, but we really preferred the texture and “English Muffin taste” of half and half. We also use this for French toast. It’s not as gummy for that as whole wheat can be. Will this work at high altitudes? I live at 8,600 feet and many bread recipes just don’t work well. I don’t have experience with cooking at high altitudes so I’m not sure, maybe someone else will be able to chime in that might have some advice! Wanda, I’m at about 5000 feet and have found that warming the oven a little and sticking different breads in to rise works much better than the countertop. The rise time is still a little slow, but the warmth of the enclosed space really helps. I also mix in half the flour with elastic yeast breads and then let them sit for about 5 minutes before adding the rest of the flour to allow for liquid absorption, so the breads don’t turn out dry and crumbly. I made this and it was so easy and soooooo good. loved it. want to make some more tomorrow. I made this bread today – LOVED it. I make bread weekly at my house and forgot to get my sourdough out and saw this so I thought I would give it a try. We loved the flavor and texture. Had it with hamburger soup and slathered in butter. Just made this bread… sooooo good… excellent share.. i enjoy homemade bread… i will make this often.. thanks for sharing. I want to make this but kindly mention the size of baking pan. 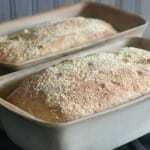 This recipe uses a regular loaf pan. 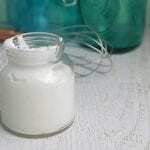 one more question , in some recipes i read bloggers using baking soda , why havent you used in your recipe? There isn’t a need for baking soda in this recipe because of the yeast. I have just started making my own butter and I found yesterday it came out softer than the first time I made it. (this was the second time I made it). Was it because it didn’t process long enough? And also, it seemed to have more liquid after processing 5-6 min. than the first time. Any tips would be very helpful. I am always looking for new bread recipes to try. Will be making this one tomorrow. Thank you for sharing. I finally got around to making this recipe today, gluten free. I thought I would share the results since somebody had asked about gf option. I made this using Cup4Cup all purpose gf flour. Followed the recipe exactly, did add an additional 1/4 cup water to mix, I guess the gf flour is absorbs the liquid more. It was delicious and cant wait to share with the rest of my gf friends. Thanks for sharing the easy recipe! Awesome, thank you so much for sharing! Beware this bread is highly addictive! I have been making this for several years. 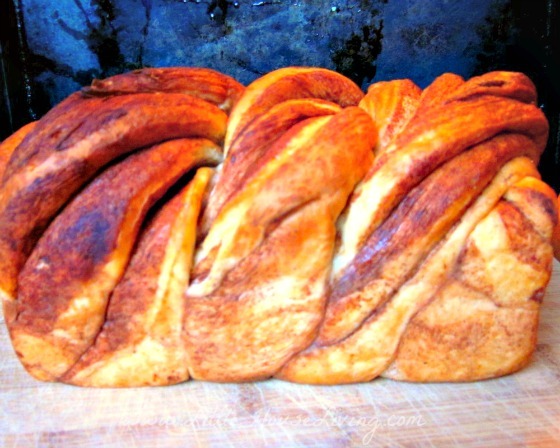 This bread has been on my mind for at least a month so I will be making it tomorrow. Thanks for sharing this recipe for people that do not have it. Do you have any gluten free recipes? In the last year, I have found that I have a gluten intolerance and am searching for recipes, especially for bread. Your English Muffin bread sounds delicious, but I am afraid of the consequences to my digestive system when I cheat. Thanks for your help. I think you should be able to sub gluten free flour in this particular recipe. It’s worth a try! 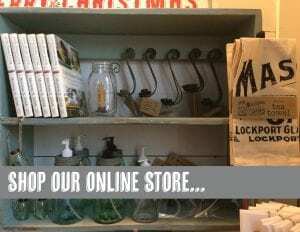 We do have a few gluten free recipes listed here: Gluten Free. I am wondering if this can be adapted for a bread machine. Any info would be great because I love the taste and texture of English muffins. I’m not sure that you’d want to make this in the bread machine as it might knead it too much. The dough for this recipe just needs to be mixed and not kneaded so I’m not sure how it would turn out. It’s worth a try though. Cream of Wheat makes a good substitute for the cornmeal. Good Morning. What size pan did you use? I can’t wait to try this recipe… Thanks. I used a regular loaf pan (this recipe makes 2 loaves). I was wondering about how long it should take for the dough to double in size? I am not good at making bread in the past – but this seems easy enough and I would really like to try it. Thank you in advance. It depends on how warm the area you put it in but should be anywhere from 30 to 45 minutes. i love this recipe ! It’s fast,easy and the crumb is wonderful. Thank you for sharing ! I am really anxious to try this recipe. However I bought fast rise yeast and it came in 1/4 oz. packages. How much or how many packets should I use? Do I change the amount of yeast used in a recipe if I use fast rise yeast and the recipe just calls for dry active yeast? I’m so intrigued by this, and will have to make it when our current loaf of bread is all gobbled up! I am saving this recipe for later! My fiancee’s father works in a large bakery in Wisconsin that makes the Tomas brand English Muffin Bread and every time we go up to visit we get addicted to the stuff. We have been hoping they would sell it here in Tennessee, but no such luck so far. Try making french toast with this type of bread as well, trust me it is delicious! You had me at no kneading! Loving this recipe. Thanks so much for joining the Dishing It & Digging It Link Party. I made it this morning. It was fantastic. My hubby and I ate half a loaf, slathered in butter. Thanks so much for sharing this recipe. I made this bread today, and just like all the others I’ve tried of yours, Meriissa, it was wonderful! And so easy! 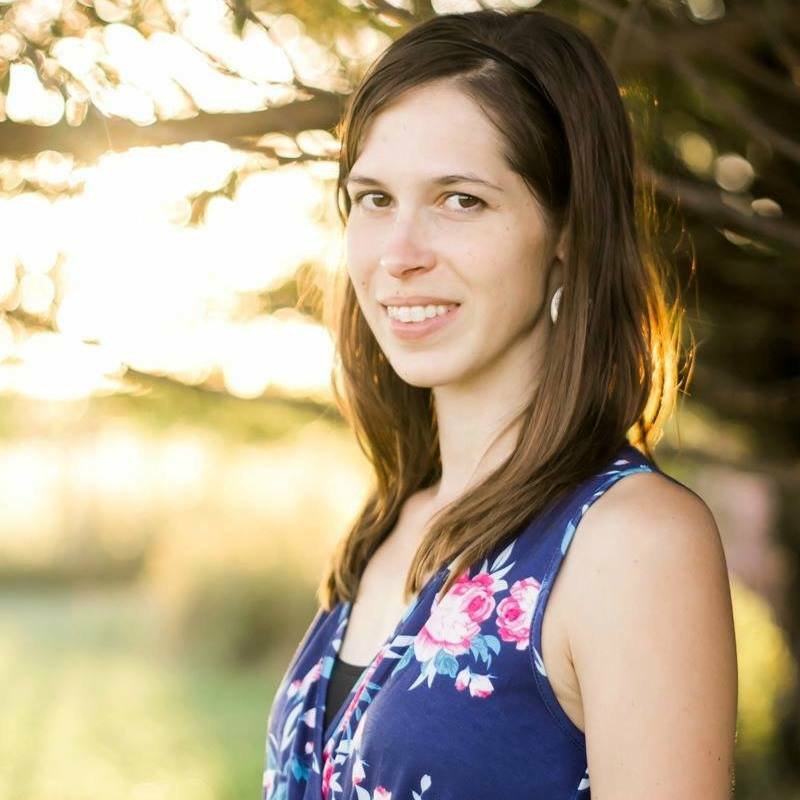 I used Macadamia nut milk as an alternative to the dairy milk , as my little one has a dairy allergy. It turned out great! Mine actually do have nooks and crannies ! I do not usually send comments, but I have to say that the Easy English Muffin Bread recipe is one I’ve been searching for, for a long time. Thank you for sharing it. Perfect the first time I made it. Fingers crossed my substitutions work. I subbed 1 1/2 dark rye flour for the AP flour and added 1 1/2 Tbls caraway seeds, We have thin bagels and cream cheese for breakfast almost every day. This will be a tasty alternative. I wonder how this would be with gluten free flour? Ever try it? I haven’t tried it yet but I think it will probably work with a good all purpose gluten free blend. Do you let this rise at all? I love this bread! I make it once a week. Recipe i use is same except when they are done you pour melted butter on the top and let cool. Wow, thanks for recipe!! I did stop making English muffins because of the time, my family will be so happy to have this! I’m so glad you are enjoying the recipe! 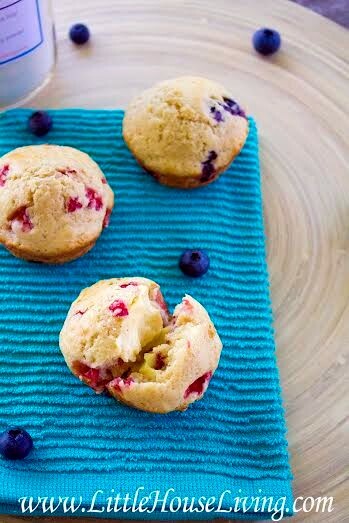 Have you ever tried this recipe with gf flour? I haven’t yet but I would really like to very soon. I can update when I do! I just found this recipe and made it tonight. From start to finish about 1:40. It is AMAZING! This is my new go to recipe. First loaf is almost gone with tonight’s dinner. I almost can’t believe it. Thank you so much! I would like to make it with more fiber. 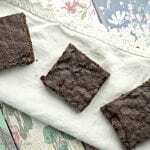 Have you ever tried using Whole wheat or the whole wheat pastry flour? I haven’t, but I’m sure it could successfully be done. Merissa, I made your English muffins and they are fantastic! I made a whole batch and then froze them and they were just fine and they toasted up just like they were fresh made. Thanks for all of the great recipes!